Welcome to my first ever linky party! I am a big fan of linky parties and love attending them. I find so many amazing blogs to follow through them and so much inspiration. I figured why not host one myself. Please link your crafts, DIYs and recipes, home tours. Please no giveaways or shops. Please stay a while and visit a few links and leave some nice comments. Thanks! Love a link up! Hi Rita! Thank you for hosting a fabulous first party! Thanks for the invitation. Congrats on your first party and good luck! 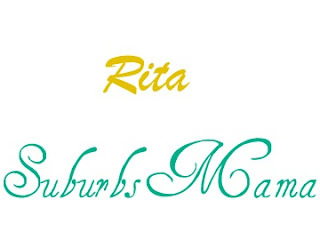 Hi Rita! So nice to meet you and to see your fabulous blog! I could read it all day as it looks so interesting! Thanks for visiting me and inviting me to join in! I'm a new follower! Thanks so much for hosting, Rita! I hope you had a wonderful Easter! Thanks for hosting and the invite! I already follow you on FB so I became a follower on GFC! Thank you for hosting the party! I am a new follower. Have a great day! Thanks for inviting me and hosting! I'm all linked up! Thanks for the invite! Have a great week! and a BIG THANK YOU for taking the time to host such a Link Party. Congrats! Rita, so excited for your first link party. So happy to link up. Thank you for inviting me. And thank you for hosting. I am all linked up! I grabbed the button, and new follower also. Congratulations on your first link party!